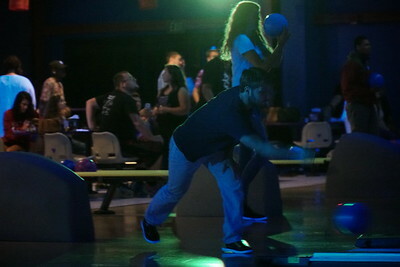 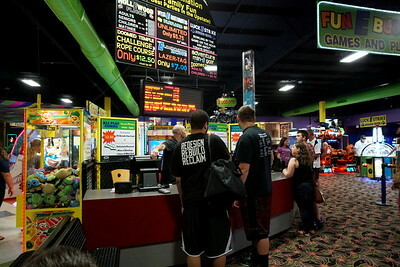 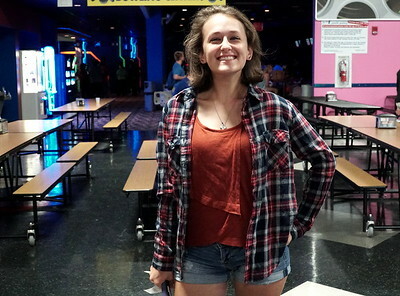 The event contained Bowling, laser tag, and a movie. 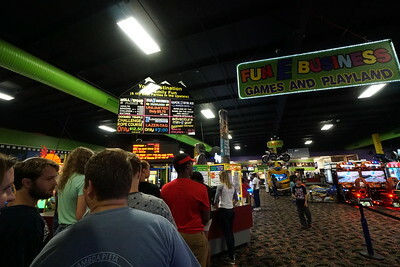 The line to get into the Big E.
Many people played arcade games and won prizes. 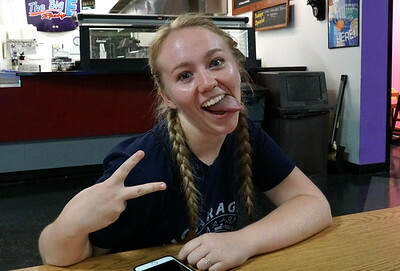 Ally, a freshman, enjoying the beginning of the Big E event. 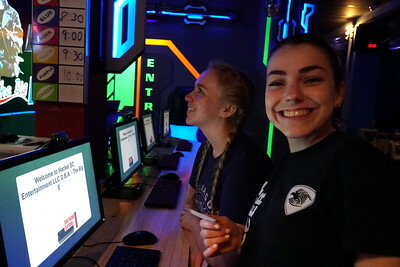 Students Olivia and Ally prepare for laser tag. 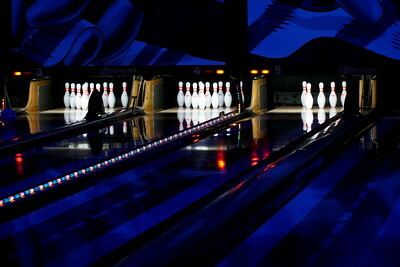 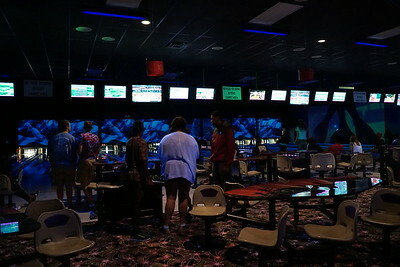 Many students were able to play free games of bowling. 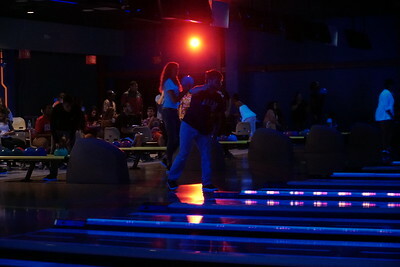 Students wait for their turn to bowl. 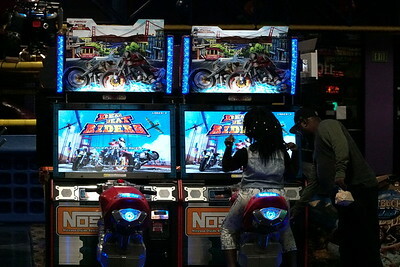 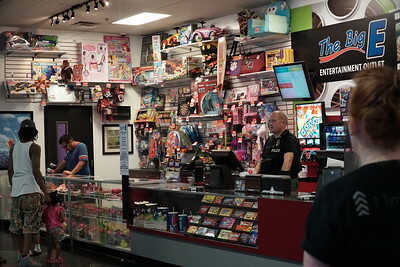 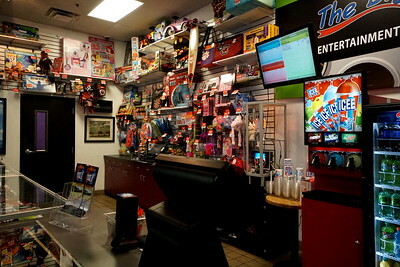 Many students played arcade games, such as racing. 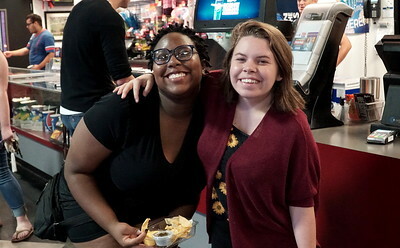 Emily and Rikki wait in line for food. 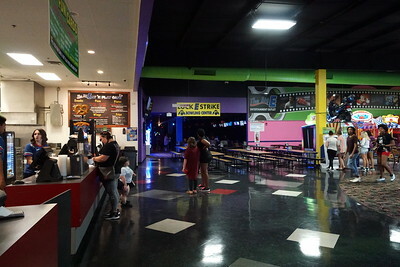 Mary gets ready to watch a movie. 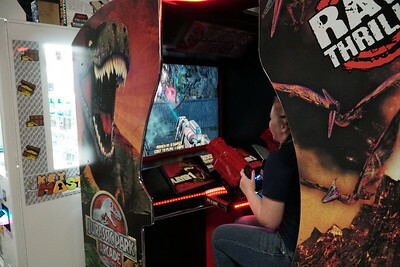 A student plays one of the many shooting games at the arcade. 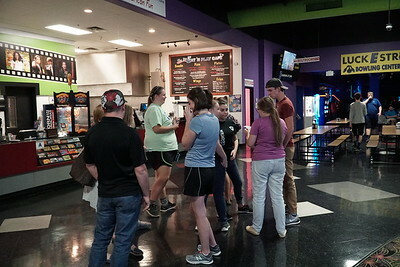 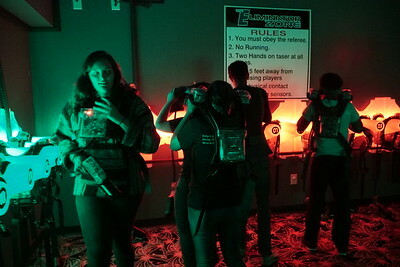 The prize and food counter at the Big E.
A Gardner-Webb student bowls at the Big E.
A group of students suit up for laser tag. 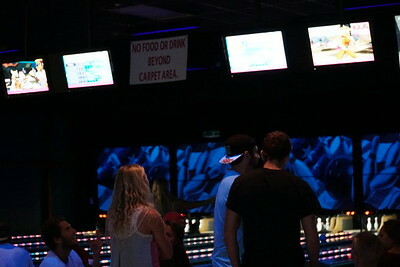 Checking the scores on a bowling game.